Linux and Unix are multitasking operating systems i.e. a system that can run multiple tasks (process) during the same period of time. A process is nothing but a running program (command) on Linux or Unix-like systems. The pstree command shows running processes as a tree. NOTE: If pid given as a command line argument, start at this PID; default is 1 (init). 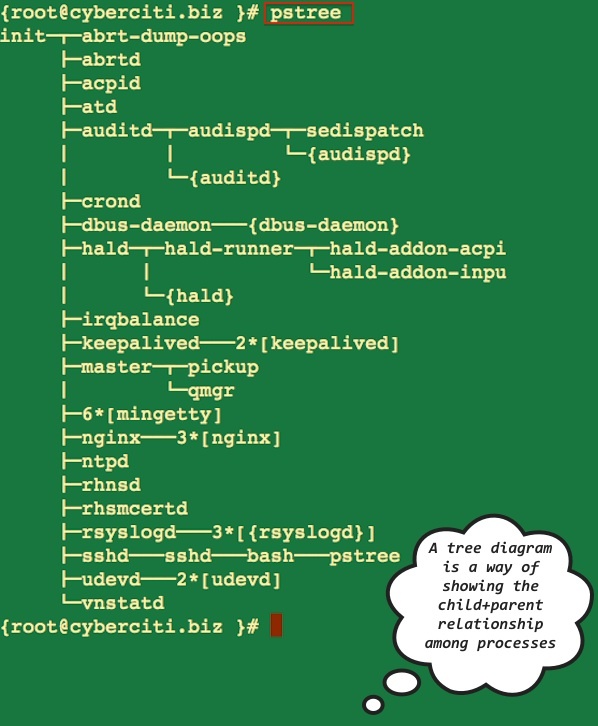 if usergiven as a command line argument, show only trees rooted at processes of this user. pstree only accept one argument, and that argument can be either the user or a pid. How do I sort processes? How can I see who is the owner/user of a process? How can I highlight the current process and its ancestors? How can I view a process by PID or user? -a Show command line arguments. -A Use ASCII line drawing characters. -c Don’t compact identical subtrees. 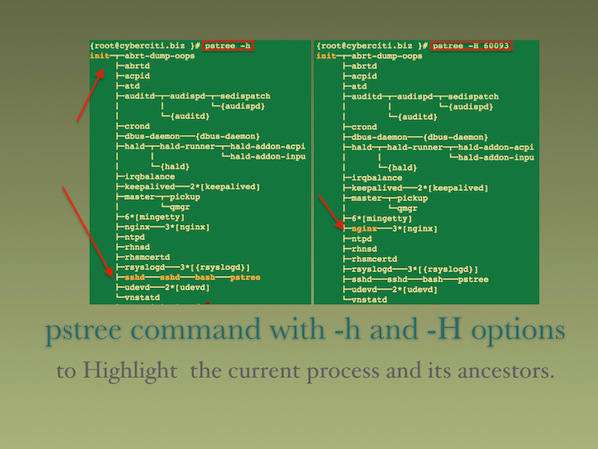 -h Highlight current process and its ancestors. -H Highlight this process and its ancestors. -G Use VT100 line drawing characters. -l Don’t truncate long lines. -n Sort output by PID. -p Show PIDs; implies -c.
-U Use UTF-8 (Unicode) line drawing characters. -Z Show SELinux security contexts.